tempering | WHY DO WE LOVE CHOCOLATE? 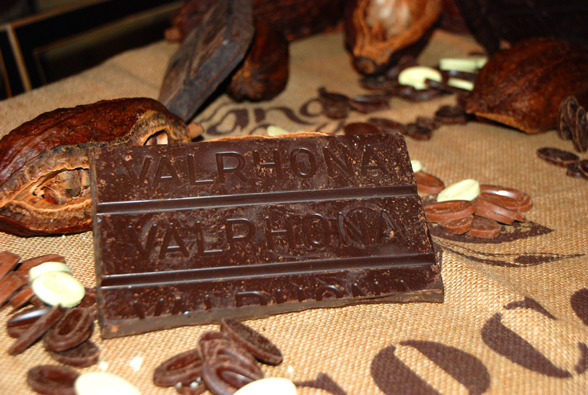 These are the provide guidlines for the tempering of couverture from Valrhona, such as the Tropilia noir, Equatoriale noir. 1.You have the melting: melt all the couverture for about 12 houres: this is crucial to ensure that the cocoabutter is properly melted. 3. Temper the required amound of couverture, making sure that you always have some warm couverture in reserve. 6. Check that the couverture is at working at 88/90°F 31/32°C, and stir the mass regularly to ensure the temperature, and thus cristallisation, is evenly distributed. If you should have new moulds, keep them out of the fridge and make sure that these are proper, clean theme always with cotton. Make sure one’s moulded to store theme for about 30′ at a cool and dry place between 12/18°C. Normaly this is wath you should do to have a perfect result! Lots of succes Joanna and greetings from Geert.